Music TV Channel / TVM3 is a private television station in Switzerland (French speaking area). 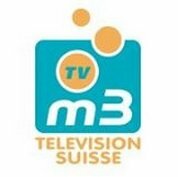 TVM3 is the first private television station authorised to broadcast to the whole of Swiss romandy since the end of the station called Télécinéromandie in 1993. The station broadcasts from the same studios of the old station in Ecublens. TVM3 obtained a concession from the Swiss regulator "Office fédéral de la communication" (OFCOM) the 2nd of July 2003. The concession obtained by TVM3 is valid for 10 years and allows the station to be automatically transmitted by cable or via IPTV (SwisscomTV / SunriseTV / VTX, etc.). The channel was launched the 1st of May 2004, first on analogue. Its coverage was increased some following years later to include all Swiss romandy (by cable and IPTV) and a few years later the whole of Switzerland.